This bright, artsy collection is perfect for making greeting cards, Artist Trading Cards or Pocket Life cards. 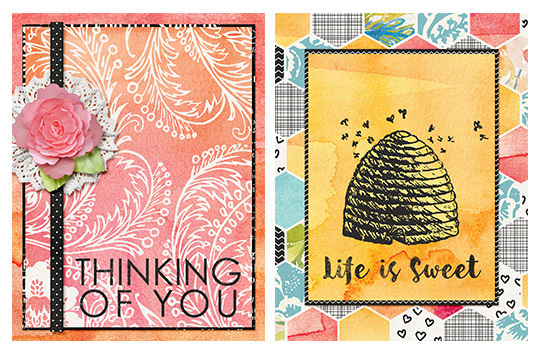 I love to make greeting cards, so this tutorial will show you how to create several types of cards with this month’s Scrap Girls Club: Honey Garden. I chose to make my cards the 4¼ x 5½-inch size because they fit in A2 envelopes which are fairly easy to find (and I already have a huge box of them). Let’s get started! First, open a new document 1275 by 1650 pixels. 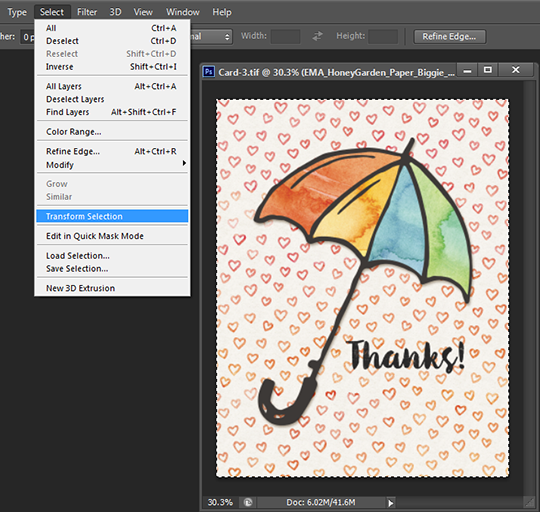 Drag in a background paper and resize it to fit your card. I use a lot of contrasting borders on my cards. Since it can be a bit tricky to make even borders, we will go over how to create them in a bit more detail. Note: I create borders using a layer mask to make the layer above the border paper smaller. 1. Make sure the paper you would like to make smaller is selected in the Layers panel. 2. Using the Marquis Tool, select the outside edge of your card. 3. Choose Select > Transform Selection in the top menu bar. 4. Hold down both the Shift and Alt keys while you resize, and the selection will stay centered on your page as you transform it. When you have the selection the size you’d like it, press Enter to finalize the transformation. 5. 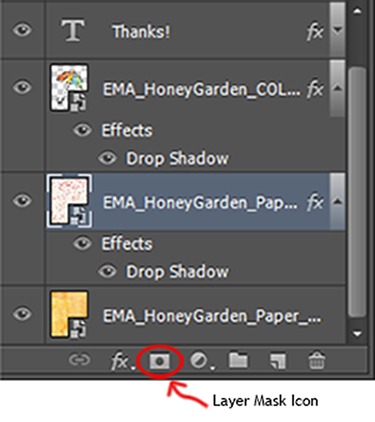 Click on the Layer Mask Icon at the bottom of the Layers panel to create the mask. Here is the finished card with the border. You can see that I applied the layer mask to the heart paper which lets the yellow paper underneath it show at the edges. These next two cards use the Pocket Life cards included in the club. 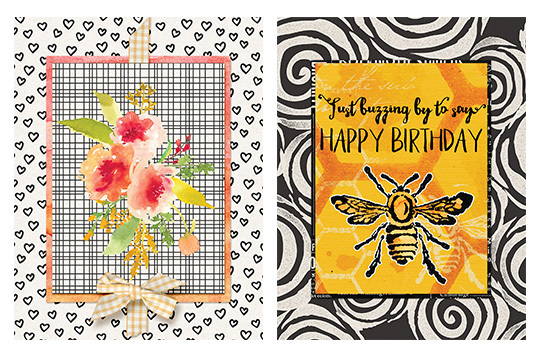 Since they are smaller than the greeting card, you shouldn’t need to resize them. 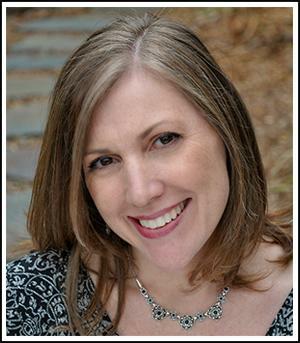 Simply hold down the Shift key as you drag it onto your page, and it will land in the center with a nice wide border. I created small borders around the Pocket Life cards using the technique we just practiced. The next set of cards use the simple borders to incorporate several papers, a graphic or cluster from the collection, and a simple greeting. 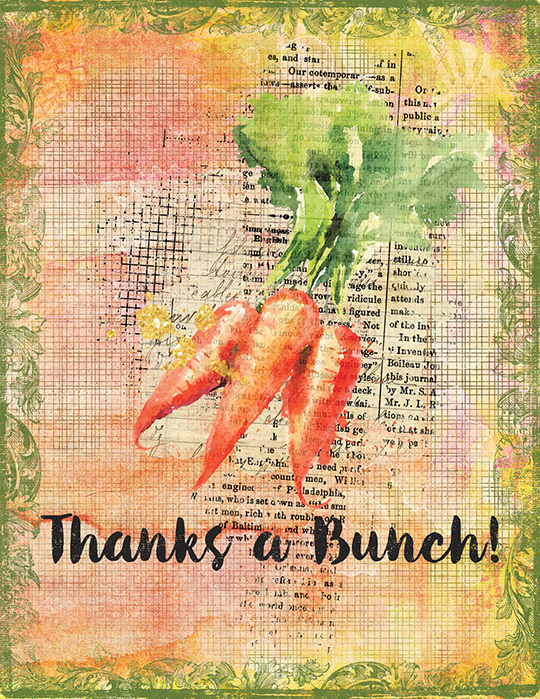 This last card uses a collage background paper, the carrot bunch embellishment, and a border. I copied and rotated the border embellishment to create a frame and then added a style from ScrapSimple Tools – Styles: Grungalicious Distress Autumn Biggie 8501 to it. Each of these cards went together in five minutes or less! 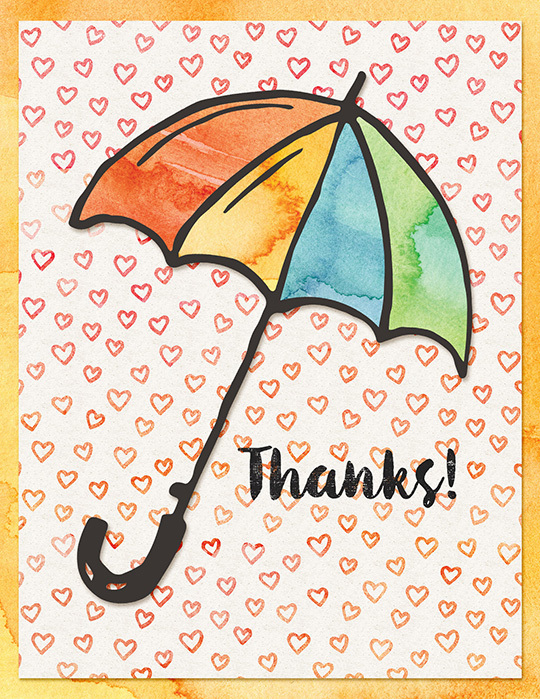 Try using this month’s Scrap Girls Club to create a card or two for someone you love – and then share your results in the Scrap Girls Club Gallery. We’d love to see your work!